Torquay United manager Kevin Nicholson hopes his side's FA Trophy win over Chesham United can be the catalyst for a decent run of results. The win was just the second in 22 games for the Gulls, who are third-from-bottom of the National League. 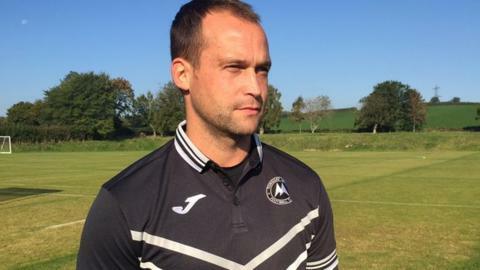 "We're solid, it's one goal conceded in four now, they need to kick on," Nicholson told BBC Radio Devon. "If we do, and a little bit of belief comes back, then it's funny how easy football can be."